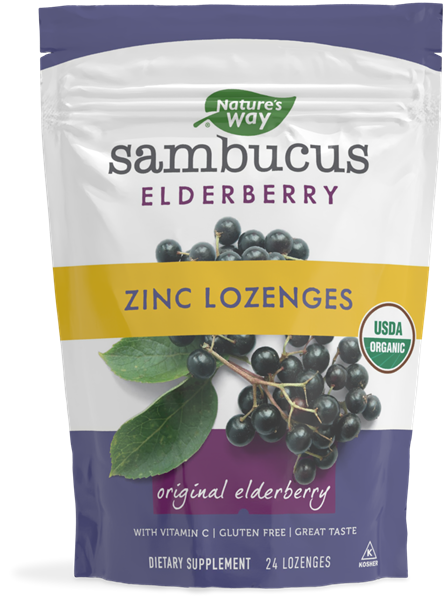 Organic Sambucus Zinc Lozenge / 24 Lozenges - Nature's Way®. Allow lozenge to dissolve slowly in mouth. Adults take 1 lozenge as needed up to 4 times daily. Children 5 years of age and older: Take 1 lozenge as needed 1-2 times daily. Keep out of reach of children. Choking hazard.